Read books which focus on creating positive energy and see the wonderful effect it has on you and others around you. – Surround yourself with positive people. – Be grateful – Take a few moments every day to think about this in the AM/PM. – Choices – You can choose to have a bad day or good day. – I’m fantastic! – (This one is my favorite) If someone asks you how you are, provide them with an enthusiastic “I’m fantastic!” I can pretty much guarantee you the other person will smile and so will you. I really enjoyed this book and even brought Susan in as a speaker for a Mother’s Day event in the office. I wanted to provide moms with some “positive thinking” tips. Very often “working moms” can be guilty of being so hard on themselves. 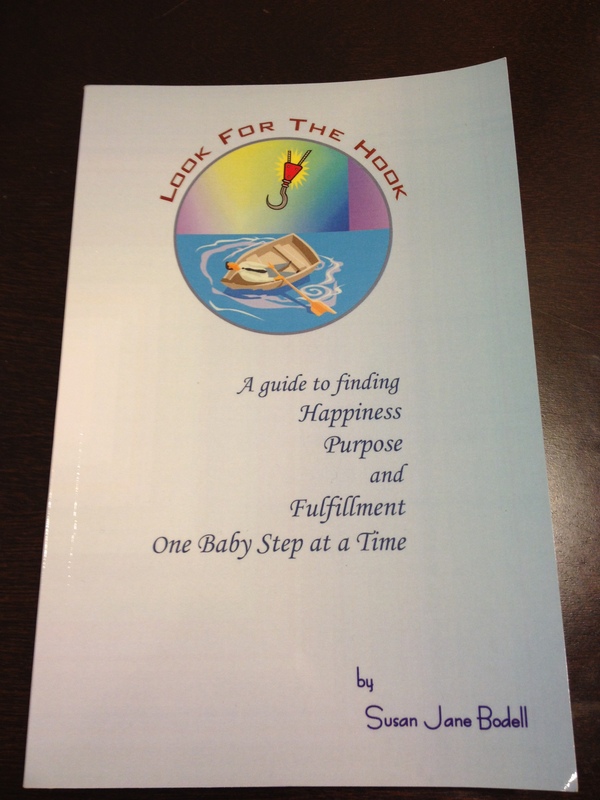 Look for the Hook: A Guide to Finding Happiness, Purpose and Fulfillment One Baby Step at a Time is an easy read and I am sure you’ll pick up some tips to renew your spirit and find happiness. When it comes down to it, isn’t that what we all want? To be happy, grateful and satisfied? Just remember if you’re younger or older, “you” can choose to be filled with optimism or negativity. Positive energy begets positive energy. It’s your choice!